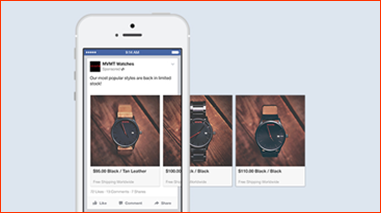 Why Marketers are moving to Carousel Ads on Facebook & Instagram in 2016? 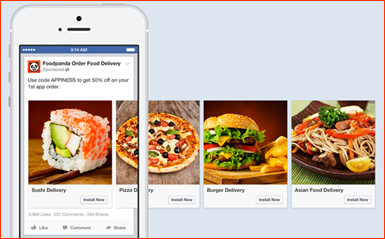 From the time Carousel ads have been made available for use, businesses have seen 30-50% reduction in cost per conversion and 20-30% lower cost per click compared to the single-image link ads on Facebook. So what are these Carousel ads? In the English dictionary, the word ‘carousel’ means a conveyor system at an airport from which arriving passengers collect their luggage. Just like the carousel at the airport, the images in a Carousel Ad also keep sliding one after another for one to click and choose. Carousel Ads help businesses reach out to customers with varying needs through a single ad. For example, The Coffee Bean & Tea Leaf, can showcase their holiday specials like beverages, party packs and cakes in a carousel format. 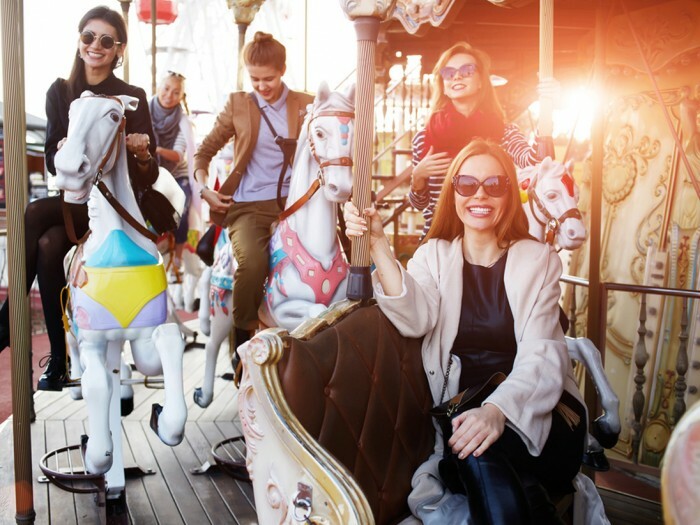 Carousel Ads help you tell impactful stories about your brand, products or services ”that lead to meaningful results for your business,” while reducing your cost-per-conversion and the cost-per-click. The images used in Carousel Ads are also known as Carousel Cards. Each Carousel Card is made up of an image, a headline, and a link or a call to action. Mobile app developers are using this ad formats (accessible for link ads in the ads API, Power Editor and Ads Create Tool) to create ads for engagement and app installation. A great example is Foodpanda’s app, which improved its click-through rates by 180% and decreased its cost per install by 39%. Similarly, Banana Republic used Carousel format to promote its “clothes that you would borrow from your boyfriend” collection on Instagram. One advantage of Carousel Ads is that they provide insights about your ads’ performance, allowing Facebook to optimize the placing of your images based on expected performance and engagement. There has been an increase of about 12% in the click-through rates because of this feature. Here are a few case studies showing how different brands are leveraging this newly launched ad format to tell their stories. L’Oréal Paris, whose aim is to make every woman her own makeup artist, is portraying its mission through its enchanting and compelling Carousel Ads on Instagram. The brand has used this advertising format to beautifully sketch out a day in the life of an influential community member, displaying the long lasting feature, L’Oréal’s infallible makeup line. 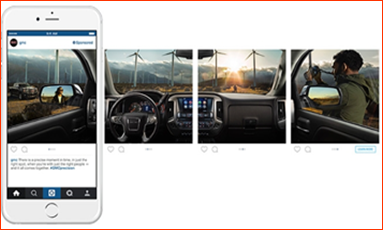 What better way to advertise Samsung Galaxy S6 and Galaxy S6 Edge smartphones’ new camera features than using Carousel Ads on Instagram! Reaching out to millions of Instagram users, the brand created a tiny photography tutorial to display every camera capability, thus revealing the full potential of the product gradually. Are you ready to kickstart your Carousel ad campaign in 2016? 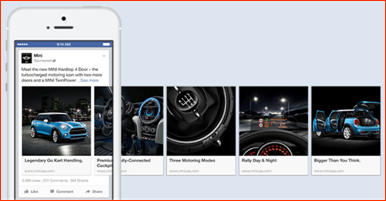 Download this ultimate guide to understand the formats and specifications, reports and case studies of Carousel ads on Facebook and Instagram. Psst: It’s free! Kanchan is is the Head of Project Delivery at Happy Marketer. She chooses traveling, swimming, crime fiction, celebrity gossip and prefers speed over stagnancy.